Introduction by Ray Smith. Foreword by Aaron Rose. 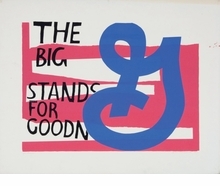 Radical American artist, educator and Catholic nun, Corita Kent’s (1918–86) provocative and elaborate serigraphy has entranced audiences for over four decades. 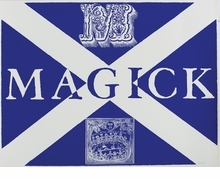 Originally completed in 1968, Kent’s International Signal Code Alphabet encompasses a series of 26 kaleidoscopic serigraphs integrating scripture, typography, image, icon and the maritime flags of the International Code of Signals. 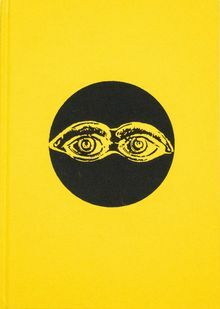 As 2018 marks the 50th anniversary of both the series’ completion and the centennial of Kent’s birth, this celebratory publication, produced in collaboration with the Corita Art Center, reproduces for the first time the International Signal Code Alphabet in this handsome and eye-grabbing yellow clothbound volume. An informative introduction written by Corita Art Center Director, Ray Smith, and a foreword authored by artist and curator Aaron Rose accompany the serigraphs. Clth, 9.5 x 13.5 in. / 80 pgs / 29 color / 5 bw. 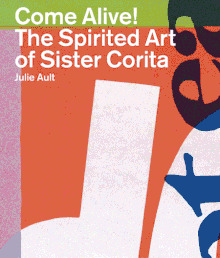 At 18, Corita Kent (1918-86) entered the Roman Catholic order of Sisters of the Immaculate Heart of Mary in Los Angeles, where she taught art and eventually ran the art department. After more than 30 years, at the end of the 1960s, she left the order to devote herself to making her own work. Over a 35-year career she made watercolors, posters, books and banners--and most of all, serigraphs--in an accessible and dynamic style that appropriated techniques from advertising, consumerism and graffiti. The earliest, which she began showing in 1951, borrowed phrases and depicted images from the Bible; by the 1960s, she was using song lyrics and publicity slogans as raw material. Eschewing convention, she produced cheap, readily available multiples, including a postage stamp. Her work was popular but largely neglected by the art establishment--though it was always embraced by such design luminaries as Charles and Ray Eames, Buckminster Fuller and Saul Bass. More recently, she has been increasingly recognized as one of the most innovative and unusual Pop artists of the 1960s, battling the political and religious establishments, revolutionizing graphic design and making some of the most striking--and joyful--American art of her era, all while living and practicing as a Catholic nun. This first study of her work, organized by Julie Ault on the 20th anniversary of Kent's death, with essays by Ault and Daniel Berrigan, is the first to examine this important American outsider artist's life and career, and contains more than 90 illustrations, many of which are reproduced for the first time, in vibrant, and occasionally Day-Glo, color. Paperback, 9.75 x 11.25 in. / 128 pgs / 100 color / 5 bw.